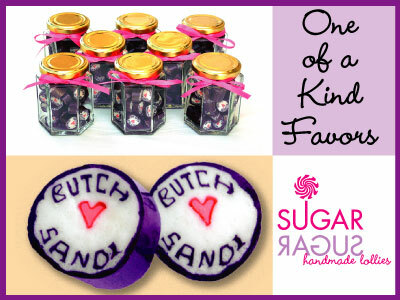 Up to 14 letters can fit within the candy, or a custom logo. Also, you can have a heart or star logo in the center with letters. Flavors: Watermelon, Strawberry and Green Apple are the most popular. IMPORTANT: Please tell us the words or names you would like in the candy later when you check out. Use the "Add Comments About Your Order" box on the Delivery or Payment pages. If you have a logo, please email (orders@handmadelollies.com or fax (1-877-249-6419) it to us. Please note, all logos are subject to approval.